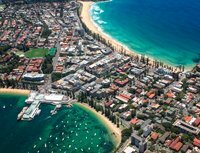 Highlights include outstanding views of Olympic Park & Homebush Bay, the Harbour and it’s world famous icons, Manly and the Northern Beaches (including Palm Beach & spectacular Pittwater) Bondi Beach, Botany Bay & more. You are purchasing 1, 2, 3 or 4 seats on the helicopter and the empty seat or seats will be occupied by other passengers. “Share with Others” bookings operate to a maximum of six (6) seats sold per flight. You will travel in either the R44 helicopter (pilot and up to 3 passengers) or the Bell Longranger helicopter (pilot and up to 6 passengers). Private Charter bookings for 4, 5 or 6 passengers travel in the Bell Longranger helicopter.